If you're looking to get the greatest benefit for your body from the Master Cleanse, then unrefined sea salt is a must. You may not think there is much of a difference between regular table salt and sea salt, but the truth is the difference is huge. The table salt, commonly found in supermarkets, has been chemically processed, stripped of beneficial minerals, and bleached. It also includes unnecessary additions such as iodine and anti-caking agents. Why would anyone want to eat salt that has all its beneficial nutrients removed and harmful chemicals added? Instead, you have to try Aztec Salt, an amazingly tasty, completely natural salt from the coast of Southern Mexico with a hand-harvesting tradition of over 500 years. What makes this salt so amazing? Click here to find out! Salt has been unfairly identified as the cause of health problems. But the truth is, the studies that point out how salt is unhealthy were only looking at refined salt, not natural sea salt. So if you have been using regular table salt in your food, STOP! It poses many dangers to your health, including the risk high blood pressure and heart attacks. Table salt also contains anti-caking agents, which are often made up of compounds that contain aluminum and are potentially toxic to the body. Exposure to aluminum has also been linked to the risk of Alzheimer's. When it comes to sea salt, however, European researchers have published many studies on its health benefits, but unfortunately this knowledge has not been passed down into mainstream North American medicine. What most Americans are stuck with is an over-simplified perspective, with all salt being presented as harmful. Fortunately, we know better. Aztec Sea Salt is filled with over 80 beneficial minerals such as magnesium and potassium, which are essential to good health. It contains 16% less Sodium Chloride than refined table salt, and of course, no harmful chemicals. It's naturally filtered and evaporated by the sun, so none of the natural properties are lost when it is harvested. “We found the ultimate natural sea salt. It was on a family trip to Mexico when we discovered it on the side of the road at a fruit stand. But, it wasn't easy getting it to you,” said Aztec Sea Salt co-founders Geordie Wardman and John Cawrse. This method of harvesting salt has been passed down the generations since the time of the Aztecs. 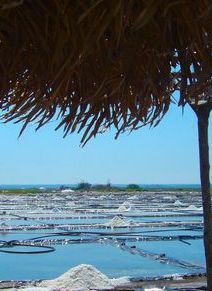 The salt is filtered naturally in pristine, shallow ponds and evaporated slowly by the sun and the wind. It is 100% sustainable. Harvesting and producing this salt employs more than 300 salineros (salt workers), supporting the local economy and protecting the ancient art of naturally harvesting sea salt. Aztec Sea Salt is slightly more expensive than table salt, but as you probably know, ethically produced foods always carry a bigger price tag. Other salts may be less expensive but they are also mined from the ground, which takes a toll on the environment. Aztec Sea Salt costs only pennies a pinch, and you will get the benefit of its delicious flavor and the satisfaction of knowing that it's better for you and the environment. 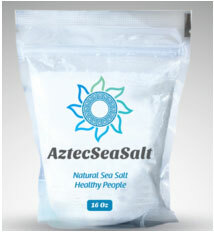 What Makes Aztec Salt Perfect for The Master Cleanse? You can use this salt anytime in your meals, but it's also especially suited to the salt water flush that is part of The Master Cleanse. NO Added Iodine or Anti-Caking Agents – Passes right through your body. 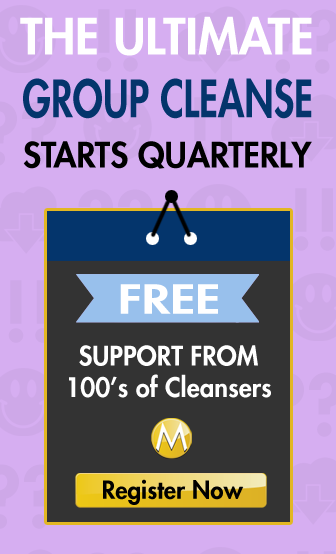 Approved by our own Master Cleanse Master Mike Olaski – Get your movement right! Harvested on this continent – Help reduce your carbon footprint. 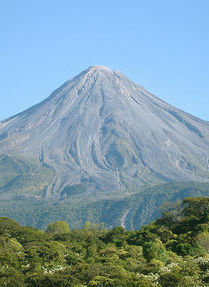 100% Sustainable Harvest – Sun dried, better for Mother Earth. 80+ Trace Minerals – Minerals your body needs for wellness. Hand harvested by local artisans – Support 500+ years of tradition. Certified Organic – Feel confident. Can't wait to experience the taste of this unique salt? Order now and enjoy your best Master Cleanse Ever!